CORICAMA use only the most suitable steels for the production of surgical instruments to achieve instruments that are both aesthetic and functional. CORICAMA is a gurantee of high-quality instruments that perfectly fit to the professional sensitivity and contribute to patient well-being. CORICAMA is constantly next to the more demanding dentists and those who seek only the best for their work. 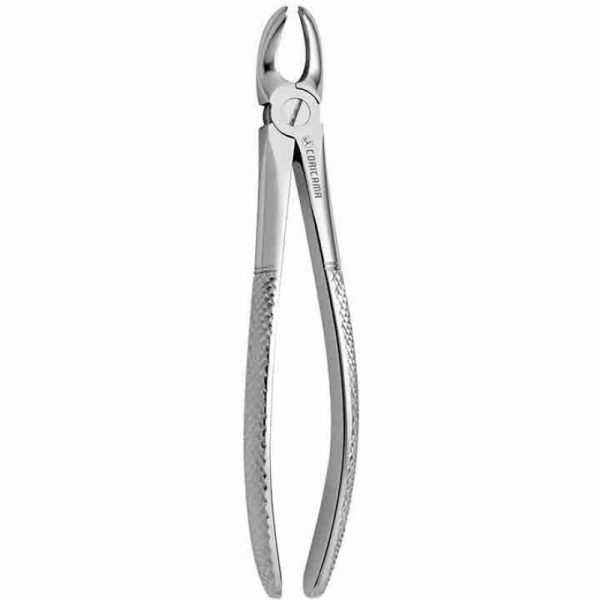 Used for dental extraction (also referred to as tooth extraction, exodontia or exodontics) the removal of teeth from the dental alveolus (socket) in the alveolar bone. Designed for use in specific areas of the mouth. Beaks and Handles are shaped to conform snugly to the contour of the teeth and to easliy reach different teeth effectively.